Microsoft has officially announced Xbox Game Pass Ultimate, a combination of their paid services Xbox Game Pass and Xbox Live Gold. The Game Pass Ultimate was heavily rumoured before and it seems like those rumours were true. Xbox Game Pass Ultimate will cost $14.99/month. 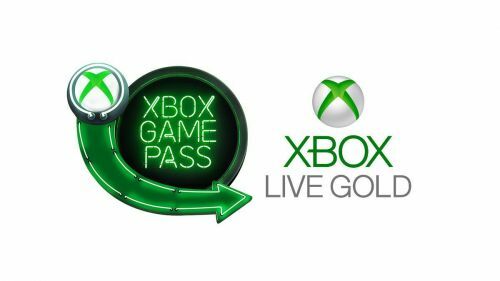 Game Pass and Live Gold both cost $9.99/month and players who want both services end up paying almost $20/month. The Game Pass Ultimate is meant to help gamers save money and make them feel like they are getting a value out of Xbox's service. Xbox Game Pass adds new free games to their service every month. Although they don't add newer releases immediately, the Game Pass service is a great way to save money and have access to a huge library of games. You will only get the games from the month you started and you won't have access to games prior to your subscription. Nonetheless, hoarding free games to try on your Xbox One makes Game Pass worth it. Xbox Live Gold also offers some free games, but not too many. The main purpose of Xbox Live Gold is to get access to the online service where you can play with your friends or against other people. There has not been any release date for the subscription service. What we do know is that it will come sometime in 2019. The convenience of a single subscription to get the maximum value from these services is exactly what Xbox Gamers needed. Microsoft has also recently announced a discless Xbox One, where you can download games digitally only and save $50 compared to the regular Xbox One S model. Microsoft is giving its gamers a lot of value to choose from and hopefully they keep sticking in this direction. It's unlikely Xbox will take over PS4 but that could change too.